Every superhero has a tale unique to his or her origins in comic culture. Some become a vigilante by choice, some are tasked with a duty to serve mankind, others are results of human experiments.Ichiro Inuyashiki, a late 50-something character, does not fit in any of these categories. Created by Hiroya Oku, the timid protagonist of the manga series, Inuyashiki, is not your typical caped crusader. The series, which has been adapted as an anime and now a live-action movie, is shot through with raw emotion. It’s about a forlorn senior citizen who receives a second chance at life only to perish for a greater cause (sorry for the spoilers). 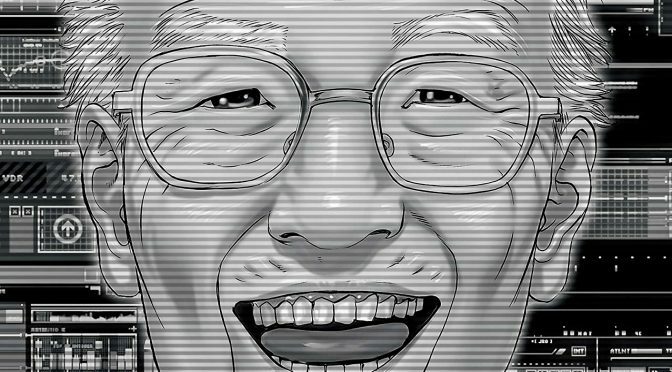 What makes Inuyashiki special to me is his ordinariness. Through him you see the inevitable dawn of old age and how it labels you a burden to the people around. Inuyashiki could easily be you or me; an ordinary human being, trapped in routine and ignored by society and one’s own family. Adding to this thankless lifestyle, our 58-year-old avatar is diagnosed with stomach cancer and estimated to survive for merely three more months. Unable to reveal medical results to his self-absorbed family, Inuyashiki goes on a long walk late one evening with his trusty dog, Hanako, and breaks down in tears. This is when he experiences a turning point in his life. Struck by extra-terrestrial beings, the senior citizen dies that night as a human, but revives as a cyborg. While his outward appearance remains normal, and he retains even his thoughts and meek personality, his body transforms into an impressive machine with powers ranging from flight and super hearing, to healing and telepathy. He also discovers that he no longer suffers from medical issues. His modest attitude baffles me. A bullied old man who has had no significance in life “accidentally” earns such powers and yet stays humble. Considering his second chance at life a blessing, Inuyashiki embarks on a mission to save as many people as possible from harm — from stopping crimes to healing the critically ill. Soon, he comes across a villain in the form of a high school student, Hiro Shishigami, who had also been at the same venue that fated night. However, unlike Inuyashiki, Shishigami wreaks havoc across the city with his new-found powers. He takes delight in killing people and feels entitled to a guilt-free existence. Several episodes in, Inuyashiki becomes an ultimate saviour, a selfless old man whose only wish is to end suffering, while Shishigami represents the classic battle of evil vs good. As the viewer journeys through the lives of two opposites, it’s hard not to adore and cheer on Inuyashiki for sticking to his beliefs, despite losing his ability to feel and express emotions. An incident where his daughter Mari gets trapped in a burning building strikes a chord. Once disgusted and embarrassed by her father, Mari gains new appreciation after realising he’s a silent hero who has been saving people behind the scenes. His selfless acts soon begin to influence Shishigami. Following an emotional revelation of his cyborg self to his family and brief days of peace, the country slips into national emergency when a meteor is reported to hit Earth in the coming weeks. After much thought, Inuyashiki decides that this was the very purpose for his existence. He believes that he was meant to die from the very beginning with an ordinary sickness, but life gave him a second chance to leave a mark in the history of mankind. Along with a redeemed Shishigami, who eventually gets inspiration from his sense of goodwill, Inuyashiki sets off to self-detonate in order to save mankind without much notice to his family.